Hi-Lo-Halo LED Headlamp Adapter For TruBEAM® 5.75"
Custom Dynamics® High-Lo-Halo adapter is required to keep the center headlamp low beam on when the high beam is activated on the Custom Dynamics® 5.75" TruBEAM® LED headlamps. The adapter also enables the built in DRL halo ring when connection is not already present. Sold Each. Installs with included Posi-Lock® connectors on all Harley-Davidson® Sportster® models & 2017-Earlier Dyna® (except Switchback) and 2017-Earlier Softail® (except Rocker/Rocker C) models with 5.75" OEM headlamp buckets. Also fits some Chopper Models including Thunder Mountain, Big Bear Chopper, Big Dog, Boss Hoss, & American Ironhorse with 5.75" OEM headlamp buckets. 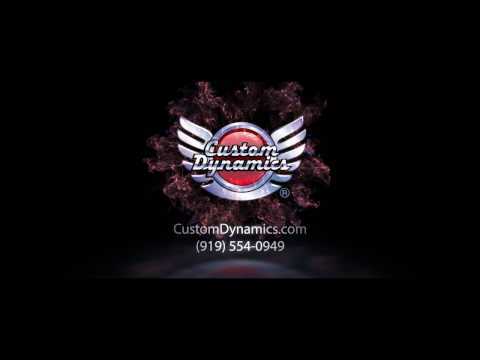 Alternatively use Custom Dynamics® part CDTB-HLA-1 with Custom Dynamics® 7" TruBEAM® with additional Harley-Davidson®, Yamaha and Indian® model fitments. Use with Custom Dynamics® 5.75" TruBEAM® LED headlamps. Softail® models with 5.75" bottom mount OEM headlamp buckets require part CDTB575ADK to correctly seat the TruBEAM® Headlamp into the bucket (sold separately). Alternatively use CDTB-HLA-1 with Custom Dynamics® 7" TruBEAM® for additional Harley-Davidson®, Yamaha and Indian® model fitments.